SMC has been implementing CHAPP in partnership with Purplewood from July 2016 and with the financial support from the Global Alliance of Clean Cookstoves (GACC). The project is a behavior change communication campaign to create awareness for the adoption of cleaner cookstoves and fuels. 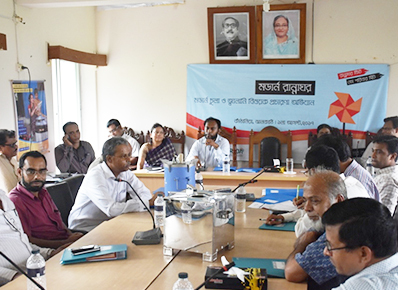 The Government of Bangladesh (GoB) launched its Country Action Plan (CAP) for Clean Cooking Solutions in 2013, which has a goal of eliminating kitchen-smoke by 2030. 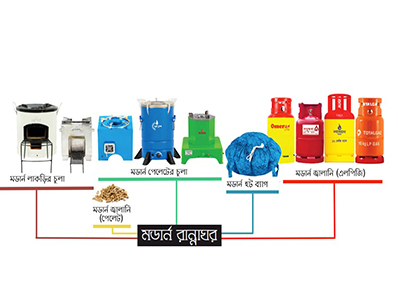 There are more than 30 million households in Bangladesh and over 90% of these depend on biomass fuels for cooking. When used in traditional cookstoves and open fires, biomass fuels emit harmful smoke that contributes to heightened levels of indoor air pollution, which has been associated with a range of illnesses and health conditions. One strategy identified in the 2013 Country Action Plan (CAP) was the development and implementation of demand creation activities to promote the entire Improved Cookstoves category. GACC worked with SREDA, Ministry of Power, Energy and Renewable Energy on the creation of a Household Energy Platform to serve as the sector coordinator and to help achieve the country’s adoption goals. 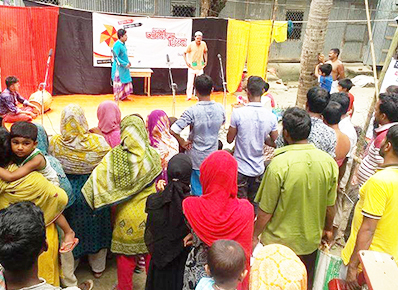 The project has been implemented through door to door activities (IPC) and outdoor activities which aim to increase awareness of the target audience about the benefits, options and supply channels of Improved Cookstoves Fuel. 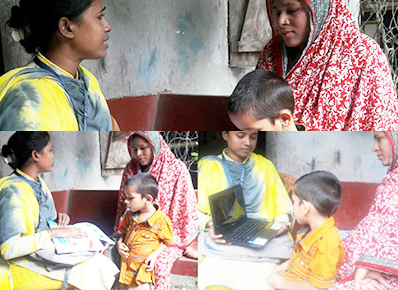 The activities are being implemented in 16 sub-districts of Dhaka and Barisal Divisions to create an enabling environment to change behavior of the target audience to shift from traditional cookstoves to improved cookstoves and consistently increase intention to purchase Improved Cookstoves and Fuel.